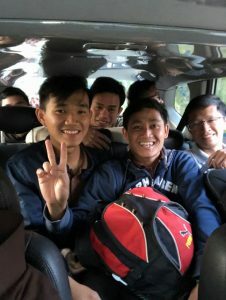 The past week was rather quiet and relaxed because our holy novices went off to experience a week long Ignatian Retreat at the Da Lat Diocesan Pastoral Center. The Diocese maintains a spacious retreat and conference facility as well as its own seminary. The site is situated on top of a hill which overlooks the sprawling city of Da Lat. 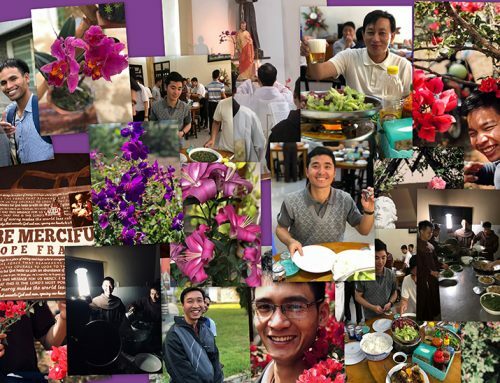 Our twenty-two young men embraced the week-long silent retreat and returned to our novitiate house with polished halos and new found enthusiasm for their Franciscan vocation. Meanwhile, “back at the ranch,” I was chauffeured on a motorbike down the back hill to inspect a newly built hermitage retreat house. When I left Vietnam last April, the project was just gaining momentum as the first load of steel rods were unloaded. 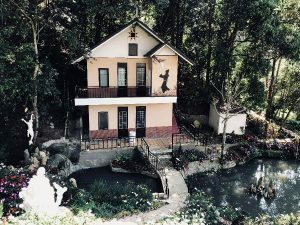 In a matter of about five months the “La Verna Hermitage” was built. Its style and design remind me of a Swiss chalet with an Asian flair. To be truthful, I never imagined that the completed project would be so beautiful. The quality of the construction and design are First Class. I should have known that it would be that way because the Vietnamese take real pride in all that they do. 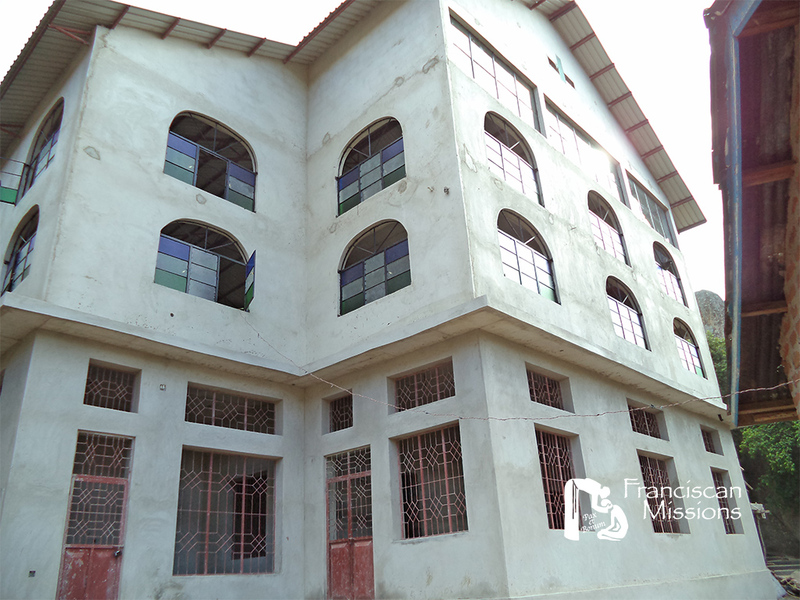 The building has three floors with the loft being a small private chapel. It also has a nicely equipped kitchen, a small reading room, three bedrooms and a bathroom. 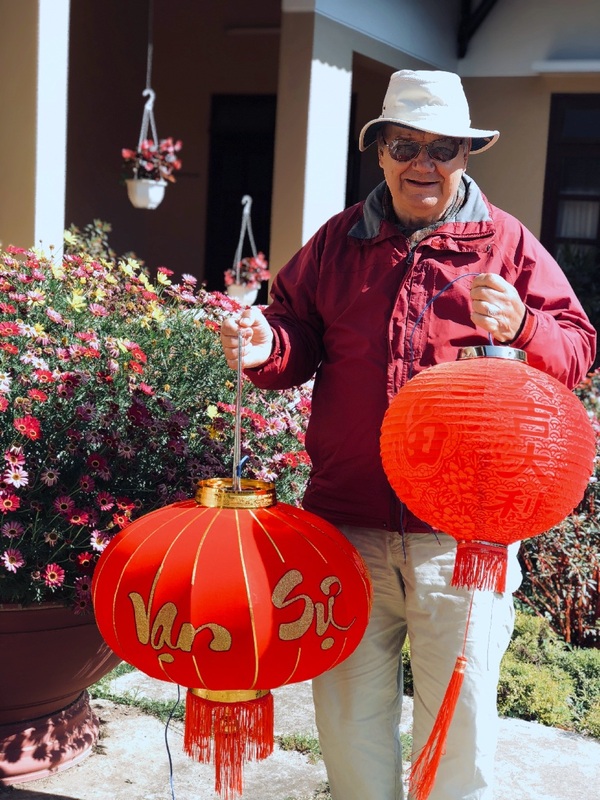 The structure is completely hidden from the novitiate complex as it is nestled on the side of a hill overlooking the vegetable and flower gardens. 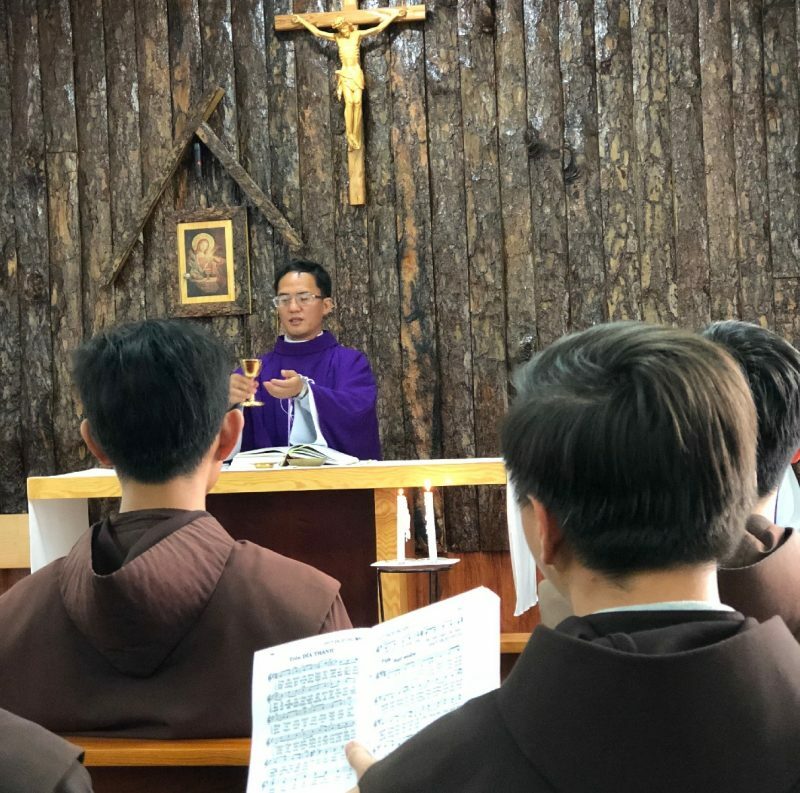 The novices are already using the facility as each one is given the opportunity to spend one week in solitude and prayer. 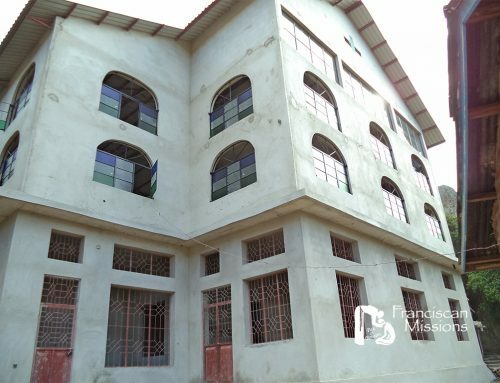 The Vietnam Province was also recently gifted with a large multiple bedroom house in the Catholic neighborhood adjoining the novitiate grounds. 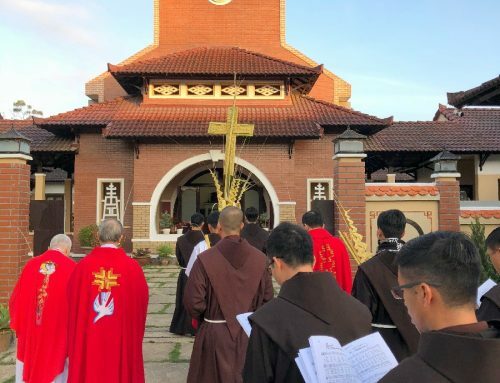 It was the family home of Peter and Maria Sinh Nguyen who are the deceased parents of two Franciscan friars who are members of the Province. 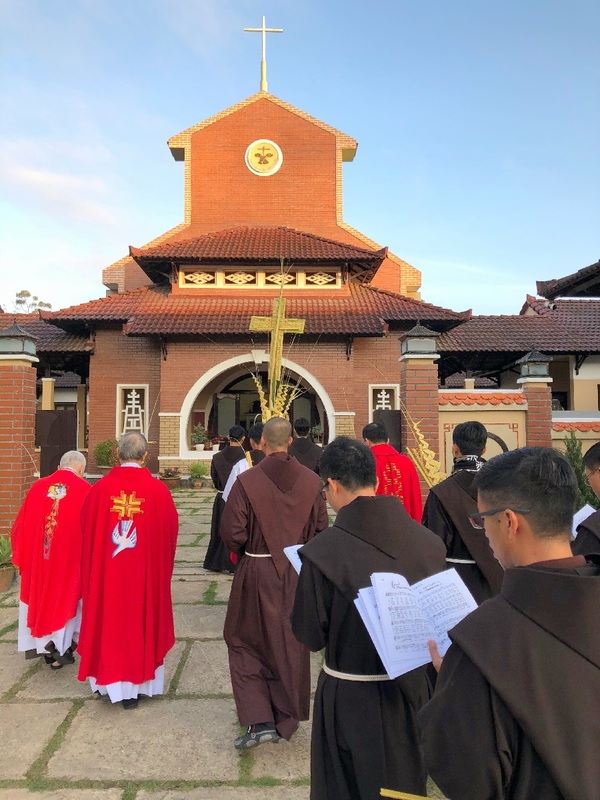 It is being used as a residence for young men who are still attending college but wish to follow the Franciscan life while they are completing their degree work. I guarantee that the home will be filled to capacity within the next few months. 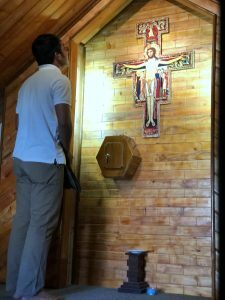 It is close enough to the novitiate so that the residents can participate in the daily 5:30 A.M. Mass before they go off to school. They are all studying at Da Lat University which has a student enrollment of about twenty thousand. Three of the four current residents are majoring in English and the fourth one is majoring in Korean. I have been mentoring these young men in conversational English on a weekly basis along with our twenty-two novices. 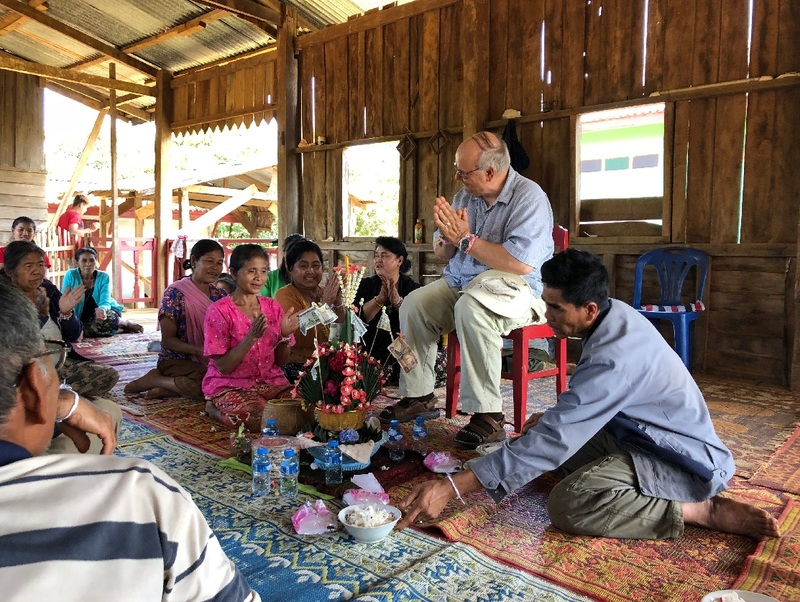 Their motivation to learn is exceedingly high but their language skills are still “a work in progress.” The other day I was thoroughly taken amiss when one of them invited me to “pick cabbage” in the neighborhood. I immediately responded with “HUH?” The young man repeated his invitation to “pick cabbage” and so I asked him to spell the word for me to make sure that I understood. 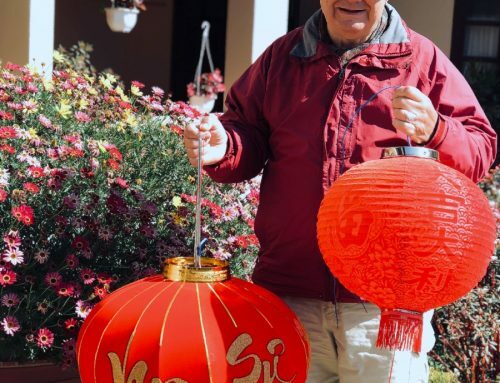 He confidently obliged by spelling “G-A-R-B-A-G-E!” As a Lenten project, the students decided to go through the neighborhood and pick up “garbage” from the streets. Be still my heart! 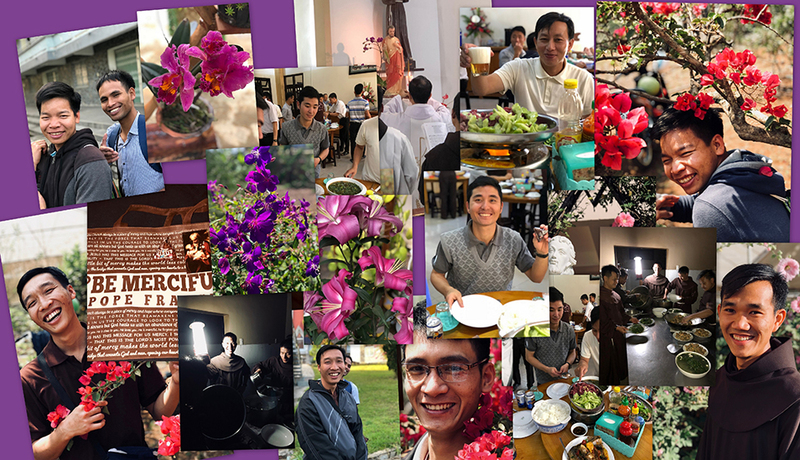 Holy Week and Easter will be upon us very soon and my time in Vietnam will come to an end. Each year that I come here, I become more and more accustomed to the culture and unique spirituality of Vietnam. As much as I am thankful for the “new and improved” Church in our part of the world, I sometimes feel nostalgic for what we left behind. So much of what I experience here reminds me of what Catholic life was like back in the 50s and 60s in the United States. Back then, church attendance was high and we worshiped as a family. Church sodalities and clubs were in vogue for both women and men (remember the Holy Name Society, Women’s Altar Guild, St Rita Women’s Group, etc.?) and devotions to the saints and the Eucharist were common place activities. I can still remember the excitement in my childhood parish when the date for Forty Hours Devotion was announced. It is refreshing to be able to “go back in time” if only for three months. This is “food for the soul” which I will cherish for months to come.